Unlike the archetypical great model, the little brother of the CONTAINER DS does not have the proportions of a sea container. It's not as wide, and its depth and height are identical. It can be deployed in multiple ways, as an end table or a stand-alone, and stacked as a cabinet in a bathroom or other rooms. 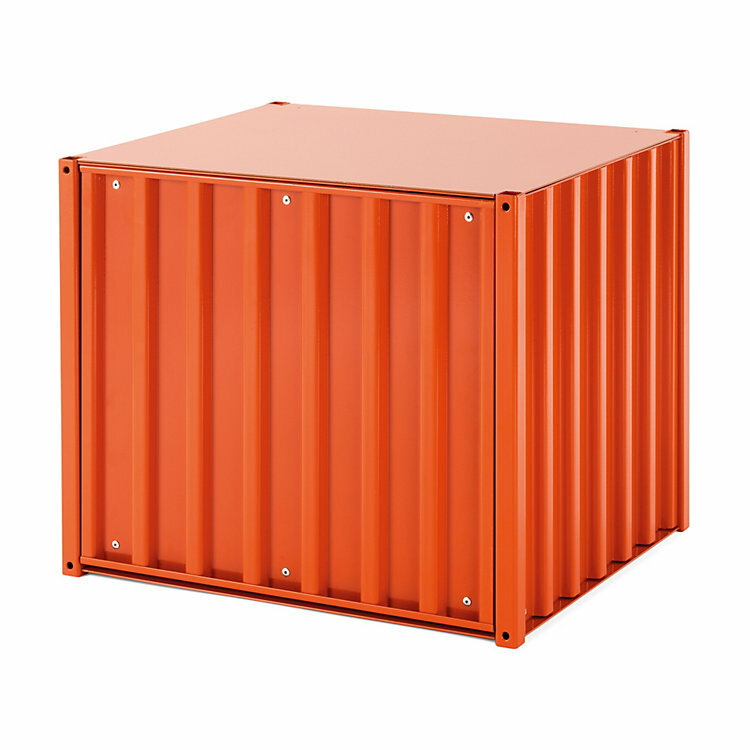 We deliver the little brother including a cover shelf in the same colour as the container. In addition, the floor is mounted at a two-centimetre distance from the wall and has a cable port (diameter four centimetres) in the middle. We deliver this container with four connectors for fastening the containers with each other. In order to guarantee a perfect fit for the door, the containers must lie flat or be levelled with adjustable feet or rollers (see frames, feet and casters for CONTAINER DS). We offer various supplements to increase the flexibility of the CONTAINER DS SMALL. An M product – available only from MAGAZIN.